We all clench or grind our teeth from time to time. However, if you’re frequently waking up with a sore jaw, neck, or tooth pain from clenching your teeth more than normal, you may have a condition called bruxism. Bruxism occurs when you clench or grind your teeth frequently when sleeping or even just concentrating throughout your day. It can wear down teeth, destroy tooth enamel and even lead to a condition called TMJ disorder. So, how can you relieve pain, protect your teeth, and prevent costly teeth fixes? One easy solution is a night guard. Clenching or grinding your teeth (bruxism) can cause permanent tooth damage. Constant clenching can wear down the enamel on your teeth which can lead to wear, chipping, cracking and shortening your teeth. Too much grinding can even wear your teeth down to the point where they may need to be built back up with a crown. 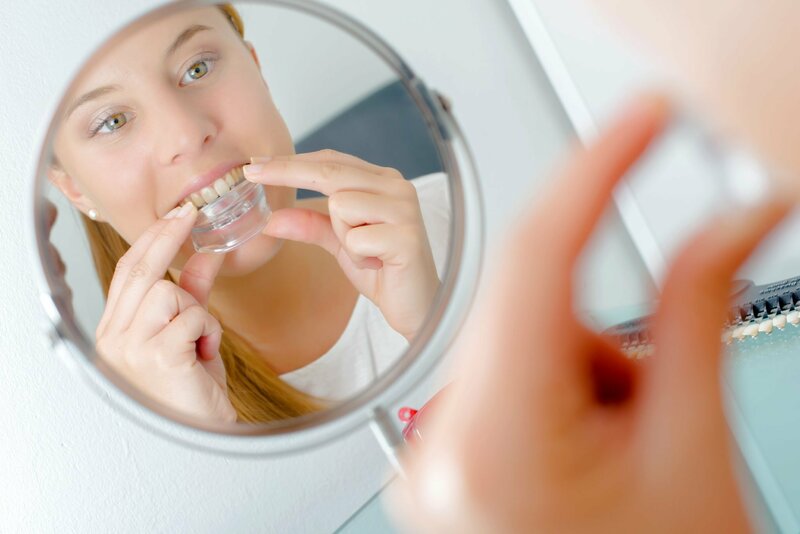 Wearing a night guard while you’re sleeping, or even during parts of the day when you find yourself grinding your teeth, will reduce the friction between your teeth and could prevent permanent tooth damage. Constant clenching can lead to headaches, toothaches and tooth sensitivity. Your jaw muscles may feel sore or tender, and you may even experience tension in your neck and ears. Wearing a night guard can alleviate this pain and symptoms. Custom made mouth guards can even help align your teeth and bite, or other issues associated with TMJ related pain. If you experience bruxism, you may feel like your jaw is constantly tense. This makes everyday occurrences such as laughing, talking and even eating painful. Wearing night guard can reduce the tension in your muscles to make sure you can open and close your jaw comfortably. For many people struggling with bruxism, they may clench their jaw the hardest while they sleep. This can lead to a bad night’s rest and painful symptoms associated with clenching for a long period of time. Wearing a night guard may enable your muscles to relax while you sleep, giving you a better rest. This also means you won’t be waking up with headaches and jaw tension. Individuals who grind their teeth at night may be more likely to snore. Interestingly, there is a common connection between teeth grinding, snoring and sleep apnea. Wearing a mouth guard at night can help relieve muscle tension and breathing issues that can lead to snoring. What Kind of Night Gaurd is Right for Me? If you think you need a mouth guard, there are a few options available. You can get over the counter mouth guards that can be purchased at most pharmacies. This is an economical option, however, they do need to be replaced frequently. You can also get a custom-made mouth guard. 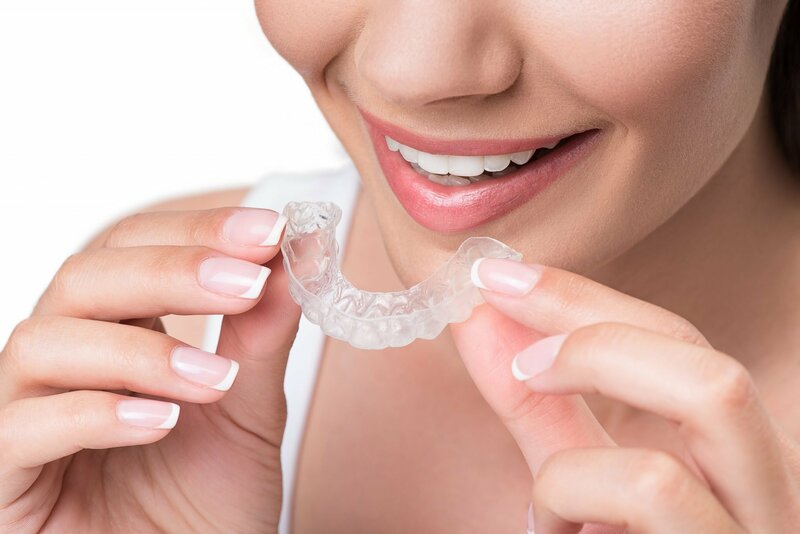 These mouth guards are fitted and created by your dentist from an exact mould of your teeth.so they are more effective, comfortable, and less bulky. These night guards are typically more expensive but last a very long time. If you’d like to know more about night guards and finding the right solution to bruxism, feel free to contact us! We look forward to seeing you! Professional Teeth Whitening: What are the Options?